We offer a wide variety of rug pads to suit your needs. Call for pricing at 718-855-2794! The Surface: Thermal-set ridges on the upper surface, in an exclusive pattern of chevrons, running in multiple directions, enables the pad to grip the rug more effectively and prevents lateral motion in ANY direction. The Padding: Needle-punched Synthetic fiber construction prevents decomposition and shredding, minimizing mildew and odors even if damp. The Backing: Superior natural latex rubber formulation in a new, exclusive hexagonal “tire tread” pattern, plus more real rubber in actual contact with any bare floor, no matter how slippery, and provides the highest degree of non-slip traction. Versatility: This pad protects any oriental or other area rug laid over any hard floor – wood, tile, stone, brick, terrazzo, laminate, etc.- including highly waxed and polished surfaces. Hypoallergenic: 100% synthetic, chemically inert padding contains NO plant or animal fibers to decompose, outgas, or aggravate allergies. 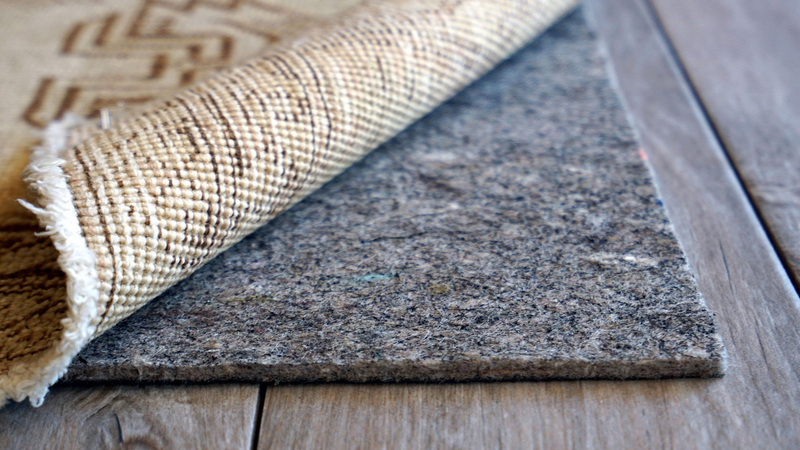 Luxury rug pad solution for a greener home. Felt, the ultimate in rug padding, offers cushioned comfort and protection for both your rug and your floor. 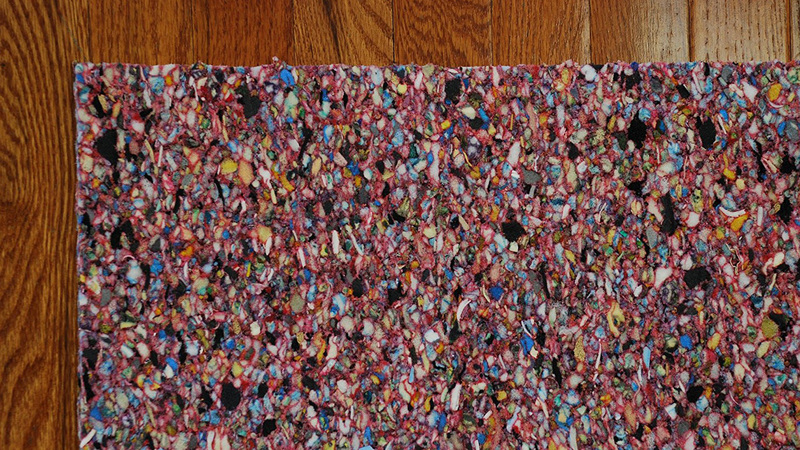 Reversible for use on hard surfaces and carpet. This revolutionary product is backed by a 20 year wear warranty and made from post industrial synthetic fibers with latex backing. 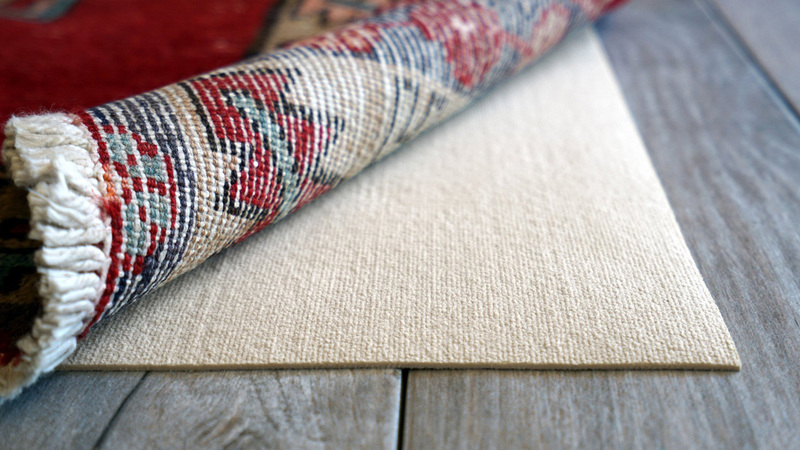 Rebond serves as the base that helps area rugs retain their texture and appearance and is crucial to area rug performance and longevity. 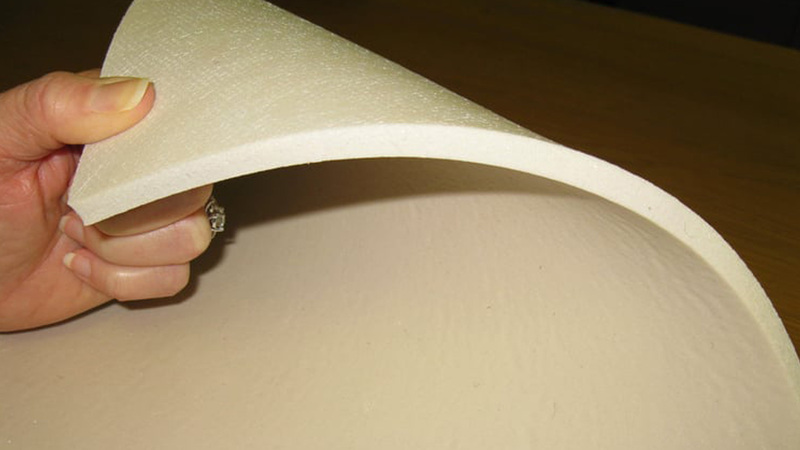 Rebond is made primarily from polyurethane foam , fiber or rubber and comes in several styles and constructions. 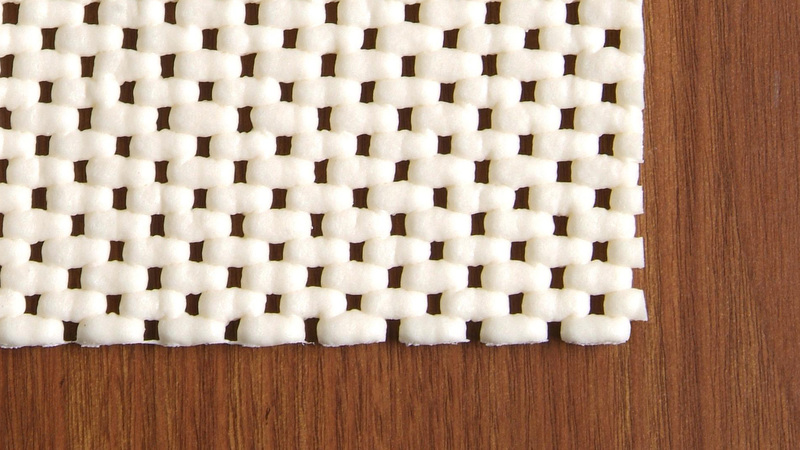 In addition to enhancing the comfort and performance of your area rugs, rebond can bring added bonuses. Rebond can inhibit the growth of mildew, provide sound insulation, and in some cases, extend the life of your area rug’s warranty. This product is the most advanced carpet cushion foundation available in the carpet industry. Developed after many years of scientific research, and manufactured with proprietary chemistry and technology. Ultra Plus II has been engineered to be the very best carpet cushion. 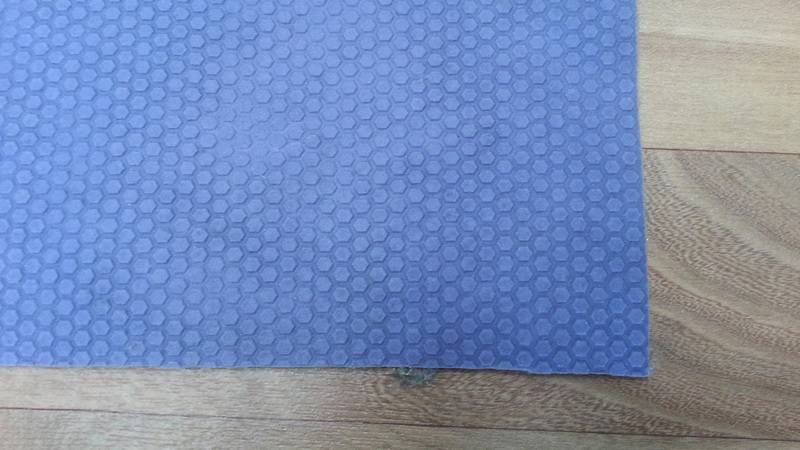 Made with thousands of micro-cellular cells, each one functioning as a shock absorber and providing support, support and more support for both carpet and the human body. Hi-density (12+ lbs/Ft³) keeps the carpet level, preventing carpet delamination and any need for restretching. 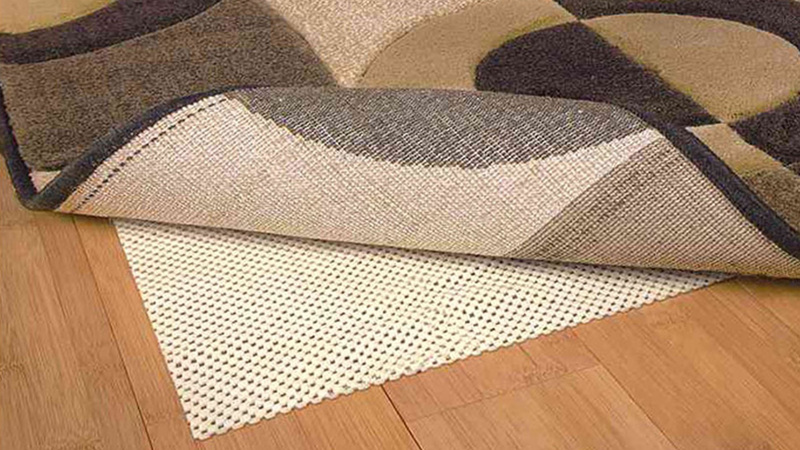 Excellent comfort underfoot, yet strong enough to reduce carpet yarn matting, crushing and wear. Keep carpet looking new for a longer period of time. Superior insulation and noise reduction properties; works very well with radian floor heating. Made using 100% virgin polyurethane containing no smells or odors. No formaldehyde or other harmful chemicals used. Very friendly to the environment. Contains virtually no chemical emissions or VOC off gases. Can be installed by using double stick method or direct cement down or stretch in loose lay (residential only).